Perhaps I've done my publisher a disservice. Perhaps myself too. There was some nice hype lately about one of my books and it's only occurring to Brenda now that maybe she should say a few words on the eponymous blog. 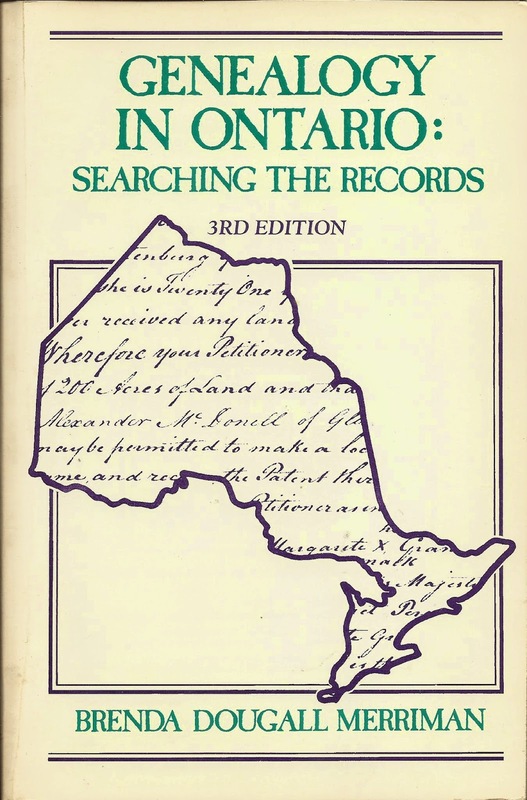 This year is the 30th anniversary and fifth edition of Genealogy in Ontario: Searching the Records, first published in 1984. 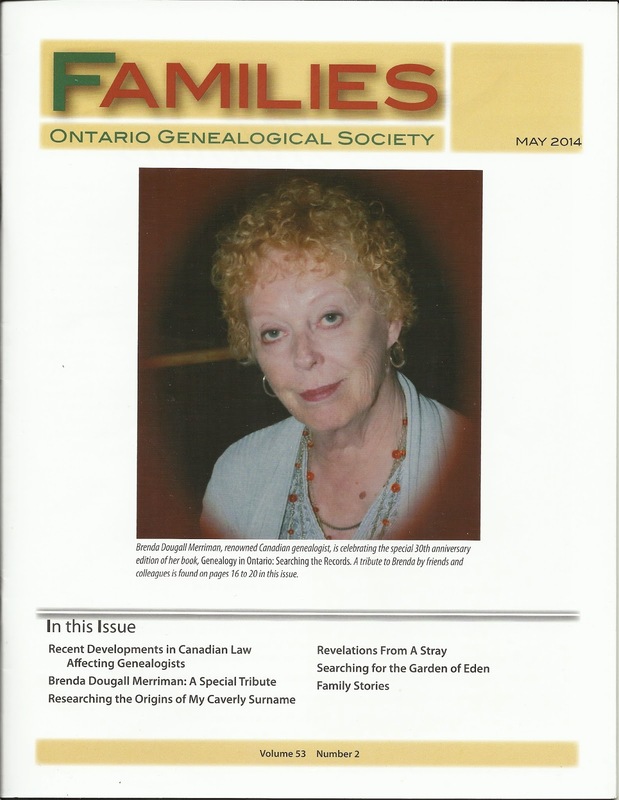 Actually, I did say a few words in the May issue of the Ontario Genealogical Society's (OGS) quarterly Families. Answered some questions. And the editor queried some of my colleagues who said nice things about me. So why would I blather more about it here? Well, because my family and friends do not see Families and possibly someone who would benefit from the book is lurking out there. After you write a book, the general idea is to sell books. I've likely said this somewhere before on my blog, but writing the book was originally a trade-off with OGS for cravenly backing out of a loosely-defined project for which I wasn't well-equipped. On the other hand, I could see a gap in OGS publications that needed filling. The title was chosen in an ephemeral haze thinking that others might follow, such as Genealogy in Ontario: Major Resource Centres, and/or Genealogy in Ontario: Research Methodology. Bet even my genealogy friends didn't know that. "GIO" sold its first printing rather quickly; I'm not sure if it was one or two thousand copies. and I wonder if anyone has a handle on ultimate sales figures. I lost track after 5,000 and that was about twenty years ago. In Canadian terms, not a sorry number. However, I've had to disabuse a few friends that non-fiction books of an instructional nature do not generate millions in advances and royalties. Expansion in the next editions made it grow, but later editions required fewer textual changes, becoming more a matter of updates. For that I am most grateful to the OGS members who assisted. I was, you see, busy trying to earn my rent with client research. With more books in my head. Something was missing in the Families tributes. In hindsight, maybe I didn't answer unformed questions. Maybe I can do it here. I missed the voices of some long-term friends in the genealogical community. The ones in OGS who first made a neophyte feel welcome; all those who willingly, cheerfully supported me in OGS and FGS and APG; and the ones the ones in BCG who mentored (and still nourish) me. Many are gone now, but my gratitude abides. They still sustain me, all. Over the passage of time the greatest rewards have been the friendships. We talk to our dead people. We carry so much information to share, yet never stop learning. Are there more books in my head? Possibly. Let me remind myself and the reader that The Book of Me, Written by You (to use its full title) was instigated by Julie Goucher of Angler's Rest blog. Julie calls it a "journey of rediscovery" to prompt personal memories. There's no compunction to write on every topic; the prompts are random and often delightfully quixotic. How many did I have? Few. Actually, two. Two aunts. Not many, is it? Poor me. The aunts were married so I had two uncles by default but they both died when I was very small. Mom was an only child. 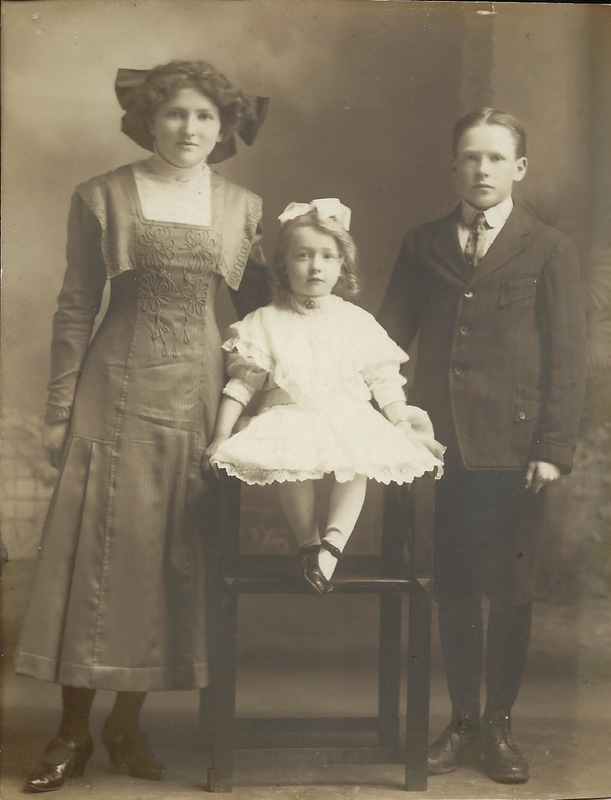 Aunt Mabel died when I was about ten and she lived quite far away in Thornhill, Ontario, so sadly, I have almost no personal recall of her. It was kidney disease that killed her. Had she lived a few years longer, medical science may have been able to treat her adequately. The disease must be related to a genetic trait, as kidney problems occur several times in the next two generations from Mabel and her brother. Aunt Isabelle (Auntie B) also lived far away, in Vancouver. She was the baby in her family. Once, she explained to me how she got the nickname "B" but alas, I've forgotten the story. It will come to me one of these days when I'm not looking for it. We had return visits with Auntie B several times; she was so much fun with her dry sense of humour. She loved reading to my kids, and children's books in general. 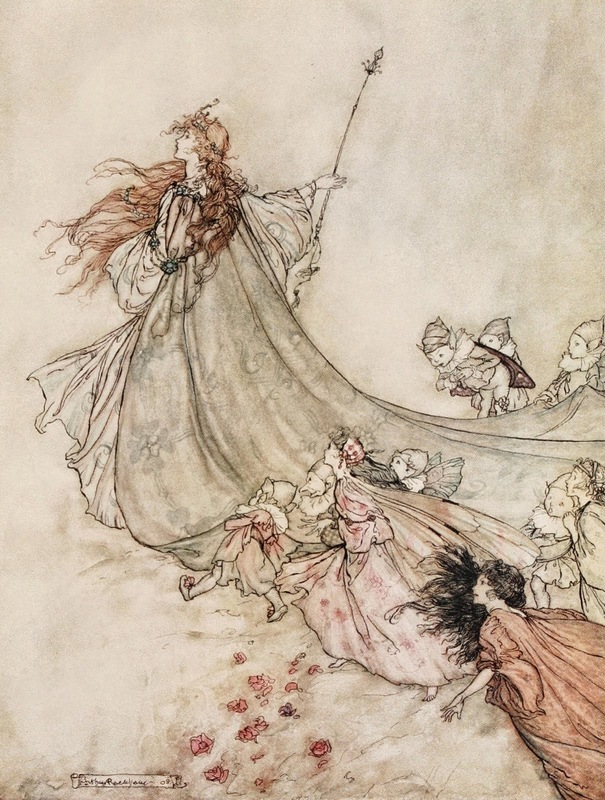 Seeing the Osborne Collection at Toronto Public Library was a big thrill for her, where we both sighed over the literally-fabulous Arthur Rackham illustrations. Then there was "Uncle" Peter, really my Dad's first cousin, and "Aunt" Agnes, really my Dad's second cousin. Agnes seemed ancient to us as kids, but she was a welcome sight coming to take us out of school for a lunch in the dining elegance of Simpson's department store. I married into a pack of aunts and uncles, all deceased now. Paraphrasing Julie: Think back over your life. Which was “your year” in terms of happy, special and treasured events? Which year was absolutely not “your year”? Think in terms of health, wealth, happiness, sadness, bad luck. Good: the years my children were born; the year I divorced; the year I reunited with my long-estranged brother. Bad: the year my father died, setting in motion a long chain of wretched circumstances. Bleak House redux. Paraphrasing Julie: In childhood, did you feed some animals? Do you remember the excitement, or being scared at the time? Do you perhaps still feed animals? The only possible response to this comes not from my childhood but that of my children and therefore mine somehow by default. We (mainly they) fed animals, alright. Sure did. For about sixteen years on a working farm. 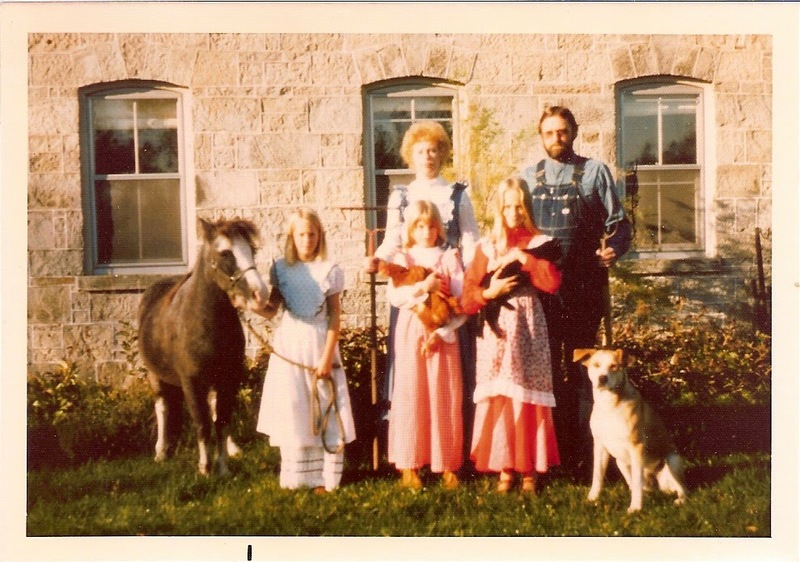 It must be stated: The parents of my children were not raised on farms! Can you guess this was back in the first days of Harrowsmith magazine? Back to the land and all that. We learned not only to feed a multitude of animals but also to find the feed in the first place and then dispose accordingly when the animals' time had come. Driving the truck to the Co-op. Baling hay. Inhaling hay. Hauling water to the barns when the pipes froze. Calling the vet at unforgivable hours. Up at dawn. Collecting and cooking a million eggs. Deflating the capons. 4-H. Attaching a trailer to various vehicles. Herding escaped pigs and horses with a dopey dog earnestly screwing up operations. Too many barn cats. Watching the dumb pheasants fly away forever. Dreadful attachments developing, giving them names. Tosh's truck coming for the beef cattle remove. Picking up the packages from the lamb butcher. You'd think my children turned into vegetarians. Wrong. Harrowsmith died a quiet death. That's when my writing career began, a manuscript with the working title Rock Picking is Not a Career. For newbie and experienced researchers alike who thrash away doing our best to produce quality family history, it’s a good thing we have Thomas W. Jones and his ilk. 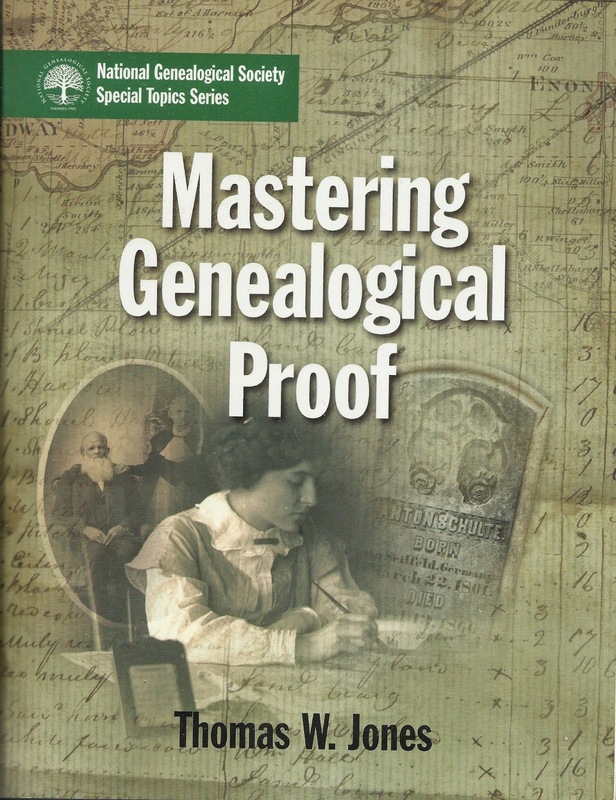 Jones’ latest publication is called Mastering Genealogical Proof. 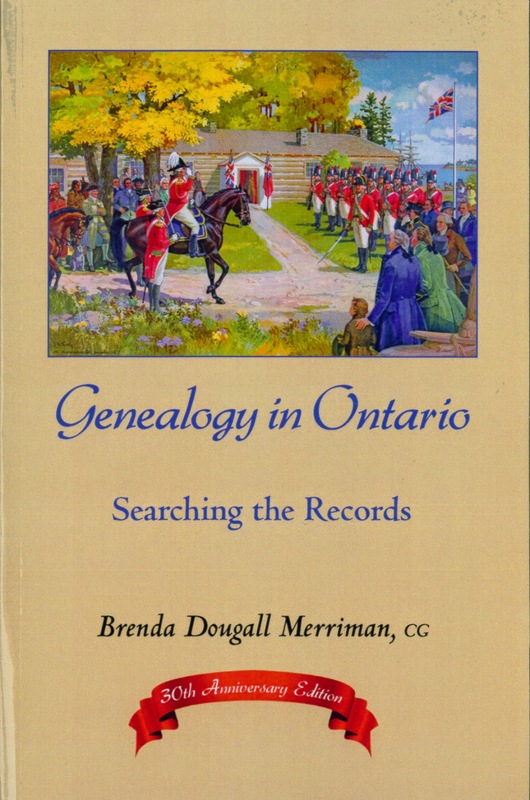 It's a welcome addition to genealogical studies, available from the National Genealogical Society’s (NGS) online store. And study it is; the workbook-like design was deliberate. The first printing sold out in less than a month, evidence of the high regard for Jones and his qualifications. This is hardly a book review. I merely want to point out the excellent growing body of work that supplements Mills’ Evidence Explained and the newly revised/published Genealogy Standards from the Board for Certification of Genealogists. 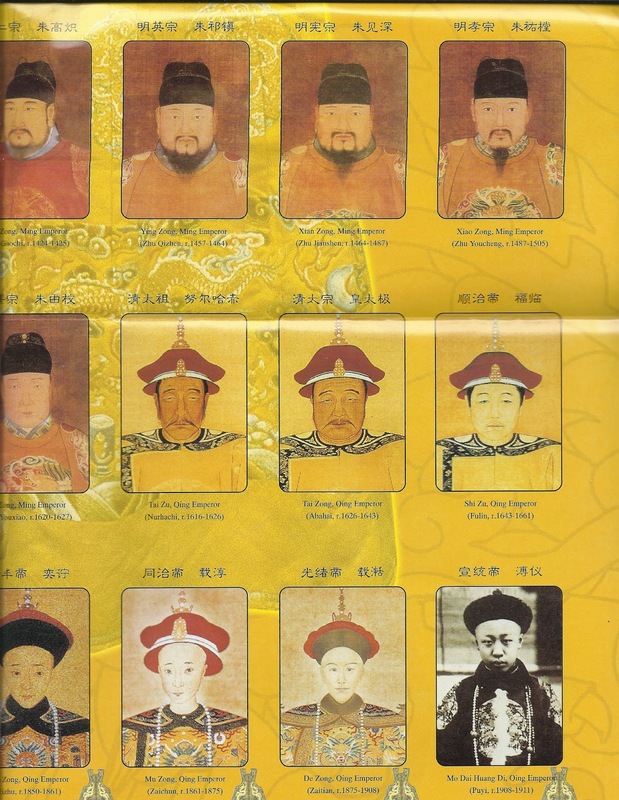 The Genealogical Proof Standard (GPS), first delineated by BCG in 2000, is gathering increased international recognition. Jones has further refined relevant concepts and terms to reflect some twenty-first century nuances in the indispensable elements of sources, information, and evidence. For example, authored works are a source distinguished from original and derivative records; indeterminable relates to information from an informant who cannot be ascertained; negative evidence is "the absence of information that answers a research question." Although proof in purely scientific terms is an absolute (beyond a reasonable doubt), genealogists and family historians employ the word to make assertions about ancestral identity and relationships. Mastering Genealogical Proof discusses the word and its application to genealogy. "Like all researchers, genealogists require a multi-faceted standard to separate acceptable information items and conclusions from those that are unacceptable." Hence the "interdependent" steps of the GPS that are repeated with each new research cycle. "Meeting the GPS neither requires nor ensures perfect certainty. Genealogical proofs―like accepted conclusions in any research field―never are final." We should recognize that our "proofs," however careful the reasoning, are vulnerable to the possibility of new evidence surfacing, thus invalidating our result. Proof is a semantically and scientifically argumentative word in our case. Is it misused? Do we need a different word? I agree that historical research has a large element of precision in such areas as finding all available evidence, analysing and correlating that evidence, resolving any conflicts, and writing it up clearly and unambiguously. However, whereas science reserves the term proof for the absolute case, and doesn’t attempt to push any ideas beyond the status of theory, genealogy employs the word proof in the context of the less-precise disciplines. Despite attempts to define proof for the genealogical context, I believe this disparity of precision is at the root of many of our confusions. Another Jones, by the name of Paul, presented a very interesting paper this month at the Ontario Genealogical Society's Conference: "Determining how much confidence you should have in your genealogical inferences." "This presentation illustrates basic probability calculations, corrects some common misunderstandings about probability and suggests how probability could, in some circumstances, augment but never replace the Genealogical Proof Standard (GPS)." Unfortunately I was unable to attend this highly anticipated talk. In it he spoke about basic probabilities, conditional probabilities, and Bayes Theorem—tools of potential assistance to the researcher. I submit that anything less than 50% "probability" in answering a research question is not of supporting value to a hypothesis nor does it make an acceptable conclusion. It probably means that I did not go deep enough into sources or analysis to draw a confident, reasonable conclusion; or else sources are disappointingly non-existent or inaccessible. Writing out the results is a work in progress. However, let's point out that unsatisfactory results can be worthwhile in disproving a hypothesis or inspiring new research tactics. It's encouraging to see genealogists, from many different occupational skill perspectives, contribute to the ongoing discussion. Thomas W. Jones, Mastering Genealogical Proof (Washington, DC: National Genealogical Society, 2013). Elizabeth Shown Mills, Evidence Explained: Citing History Sources from Artifacts to Cyberspace (Baltimore, MD: Genealogical Publishing Company, 2007). The website Evidence Explained (https://www.evidenceexplained.com/) has a regular Quick Tips blog among many other features. Board for Certification of Genealogists (BCG), Genealogy Standards, 50th Anniversary Edition (Ancestry.com, 2014). Tony Proctor, "Proof of the Pudding," 26 December 2013, Parallax View (http://parallax-viewpoint.blogspot.ca/). John D. Reid, "Probability in genealogy," 24 July 2012; "How to use probability in genealogy - part 1," 4 September 2012; "How to use probability in genealogy - part 2," 5 September 2012; "How to use probability in genealogy - part 3," 6 September 2012 (among others), Canada’s Anglo-Celtic Connections (anglo-celtic-connections.blogspot.ca). Paul Jones, "Determining how much confidence you should have in your genealogical inferences," Ontario Genealogical Society Conference 2014, Syllabus; it's unclear yet whether the Syllabus will be for sale at the OGS online store. Some memories are not to be publicly shared. Pride in accomplishment: the harder-earned, the more rewarding, for all concerned. Witnessing family members fulfilling their potential or, in particular, "overcoming the odds" is unsurpassed joy, always there to warm the heart in troubled times. Stress is a double-edged sword. Conscious of deadlines (self-imposed or otherwise), some of us can do our best work. On the other hand, too much pressure can boil over the top. And I'm just talking about work, research and writing work. Stress also sneaks up from the subconscious sidelines to pile on — household, family, personal issues — in the middle of working or in the middle of the night. You are spared the details of obliviously grinding my teeth when in intense mode; the stiff neck; the muscle spasms. Trying to be aware. Doing the exercises said to alleviate. I know I'm not the only one. We are so human, aren't we? Purposely getting OUTSIDE, out of my cave at least once a day, is a great antidote. Walking, walking, walking. Celebrating the fact that I can walk and see and hear and participate in the vitality around me. Doing the regular fitness class even if the muscles are protesting or the brain is muzzy. My seasonal R & R is pottering in my tiny rooftop urban garden before sunset with a few like-minded (and not horticulturally critical) neighbours. A glass of wine doesn't hurt. – think it through, absorb the lesson learned, and move on. Now I got me going. BIG regret: that in 2006 I did not extend my trip to Jordan for the following week in Syria! A lost opportunity to see the museums and antiquities of Damascus, Aleppo, Palmyra, ... many may never be the same again. All World Heritage sites in that country have been damaged in the civil war, aside from the continuing immense human suffering. Oh dear, this is previewing a blog post still under construction. An odd regret from left field (actually, a colleague's blog post triggered it): my older brother was born a year before me and died the same day. The birth and death certificates do not have a name for him, but I think, had he lived, he would have been named for my paternal grandfather. While I rarely indulge in speculation, it does make me wonder if or how family dynamics might have altered. Disclaimer: I do not regret one of the hundreds of milkshakes I must have had in my life. Or any other ice cream product. It fits right in there with de-stressing. Minneapolis. 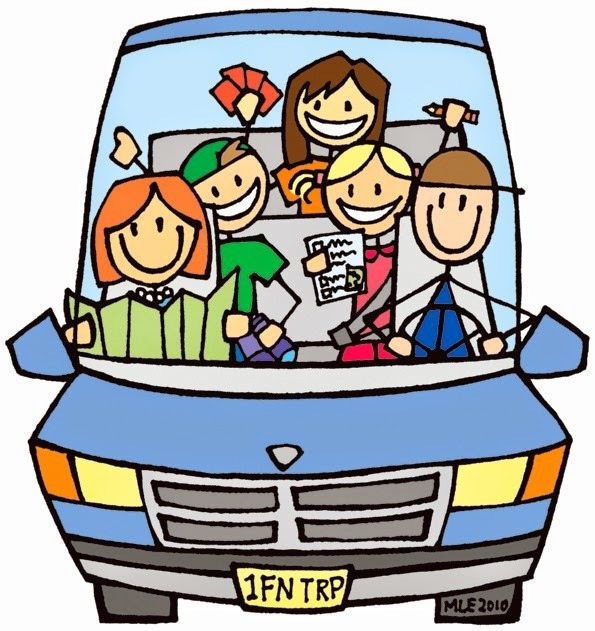 Every Easter my Dad would drive the family (until we were obstreperous sophisticated teenagers) from The Lakehead across the border to Minneapolis to visit Uncle Peter Dougall and his family. A big city! We stayed in a hotel! We ate in restaurants! We had spending money! Department stores! We had American cousins! And Uncle Peter was such a cool dude — lucky, lucky us! The CAMELS are migrating again. They have spoken: they want their own blog. Previous posts from my other blogs are being updated and transplanted. New posts will appear. Additional travel commentary to come. You can join us at http://camelchaser.blogspot.com. It's called CAMEL-DABBLE TRAVEL-BABBLE.